California can be thought of as a ice flow where multiple independent blocks with different inherent buoyancies are at times pressed together, pulled apart, and slid past each other. The M 6.1 American Canyon quake did not take place on any of the major fault systems we are taught to fear. 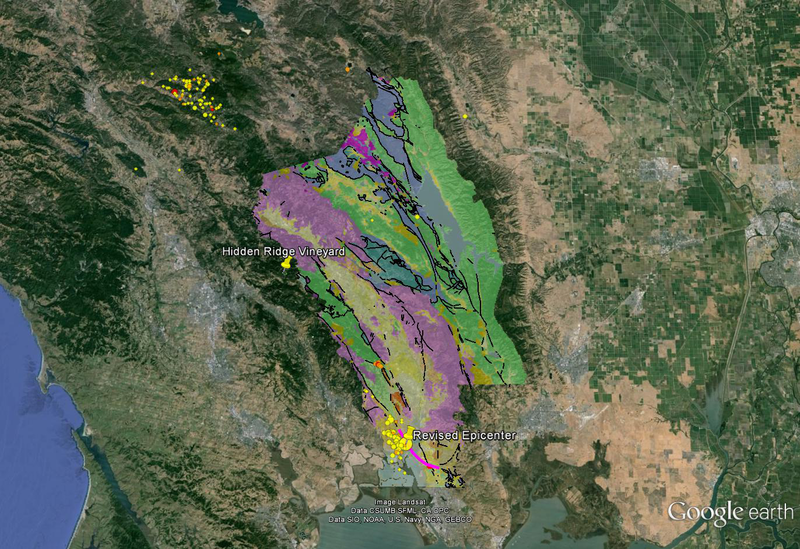 Some early speculation was voiced that it was on the West Napa fault, but the pattern of aftershocks implicates an unusual fault system that extends along the crest of the Mayacamas mountains. 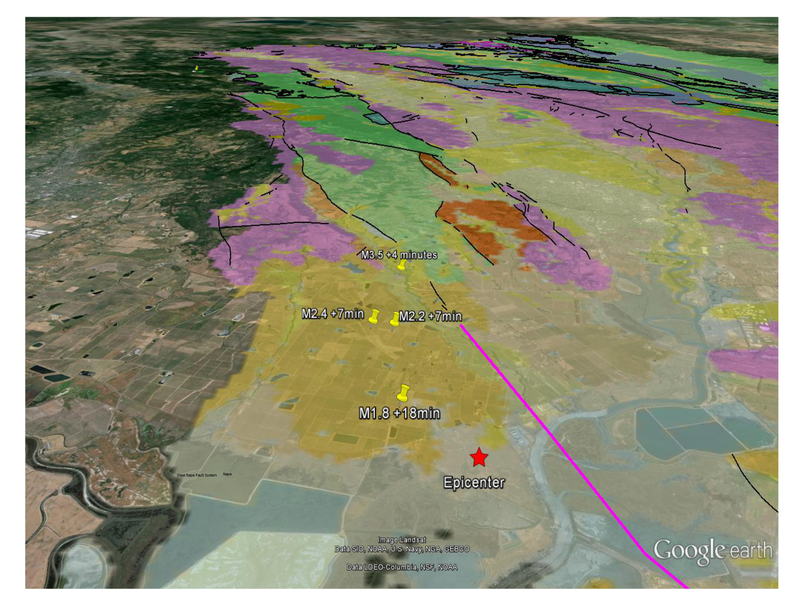 Here is the epicenter and immediate aftershocks on a geological map of Napa County. The magenta line is a hypothesized southern extension of the Mayacamas ridge fault. Update, USGS has revised the epicenter and streamed in a large number of “aftershocks”. They consider an interesting swarm of subsensory quakes up by Clearlake to be aftershocks. Whether these should be considered a separate event is debatable. This entry was posted in American Canyon Earthquake, Geography, Geology, Plate Tectonics and tagged Aftershocks, American Canyon Quake Fault. Bookmark the permalink.